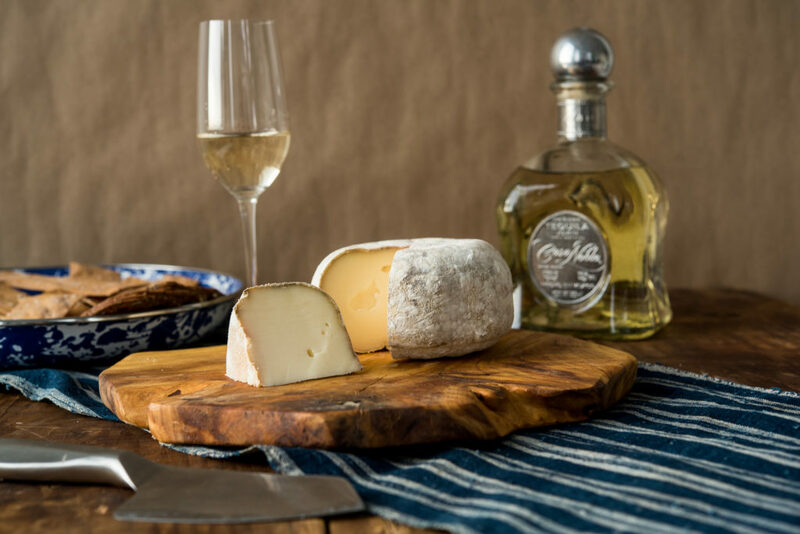 Tequila and Cheese: The Perfect Pair? This is not your ordinary cheese pairing, we realize. You’re probably wondering, “What are they thinking? !” Tequila isn’t wine. There’s no grand history of pairing cheese and tequila together. 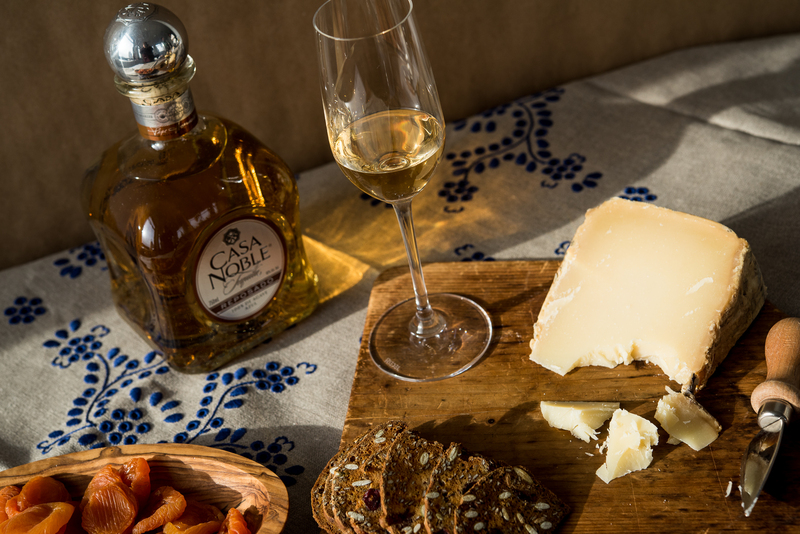 But we would never steer you wrong – the notes of tequila, from floral to caramelly sweet, make a perfect pairing to some of Murray’s most beloved cheeses. 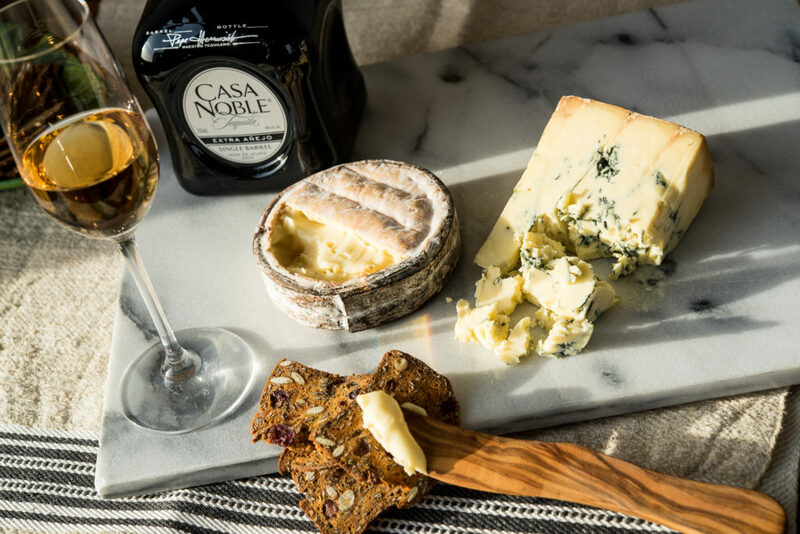 We’ve had our expert cheesemongers choose artisanal cheeses to go along with the beautifully crafted tequilas from Casa Noble to create a pairing experience unlike any other. When it comes to those clean, crisp agave flavors, Crystal is the ideal Blanco tequila. Lingering beneath, there are notes of honey, buttery-sweetness, and hints of limey citrus. 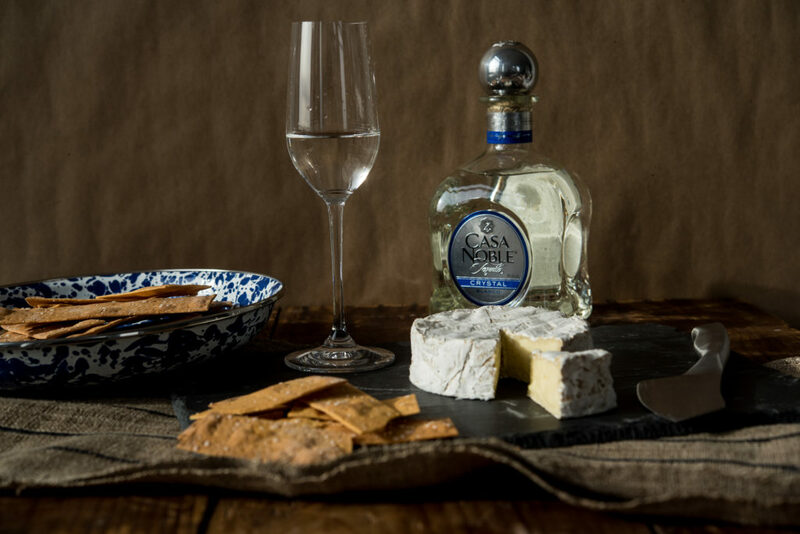 This well-balanced tequila is perfect with Murray’s Camembert – toasty, buttery, and lactic, it will balance out the sweet honey notes and pair with the citrusy nip of the tequila. After aging in a French White Oak barrel for an entire year, Reposado emerges smooth and full-bodied. The oak imparts notes of smokiness, while hints of vanilla, lemongrass, and wildflowers lingers with each taste. This sweeter, tangier version of Parmigiano Reggiano is the ideal along with that – toasty sweetness and lanolin loves the vanilla and oakiness of the tequila. Aged for two full years in French White Oak barrels, Anejo develops into a complex balance of dried fruits and piquant spices. Toasted oak, butterscotch, and vanilla are the key flavors that linger on the tongue, making it a perfect pairing for our Murray’s Cavemaster Annelies. 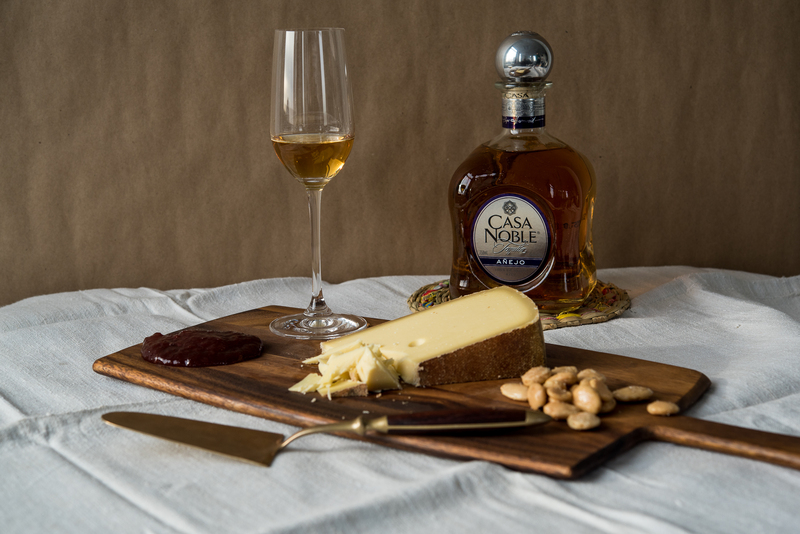 The cheese also shares flavors of butterscotch and toastiness, with the addition of a unique cocoa flavor that stands out against the aged tequila. Aged in a slightly charred French white oak barrel that has been used for 7 generations to create tequila, the most prominent notes are vanilla, hazelnut, and chocolate. Impossibly smooth, with strong cocoa notes, we love it with the fruity bite of Stichelton. When the stronger notes of woodiness come through, that’s when we break out the Greensward – those bacony, funky notes are strong enough to match it. A mix of young silver tequila balanced with extra aged tequila, Joven combines the sweet floral and tropical fruit notes of the young with the smooth vanilla finish of the old. Murray’s own Cavemaster Reserve Cornelia makes an interesting pair – buttery and rich with a hint of roasted peanut, it adds a savory, bold element to act with the sweetness of the Joven. 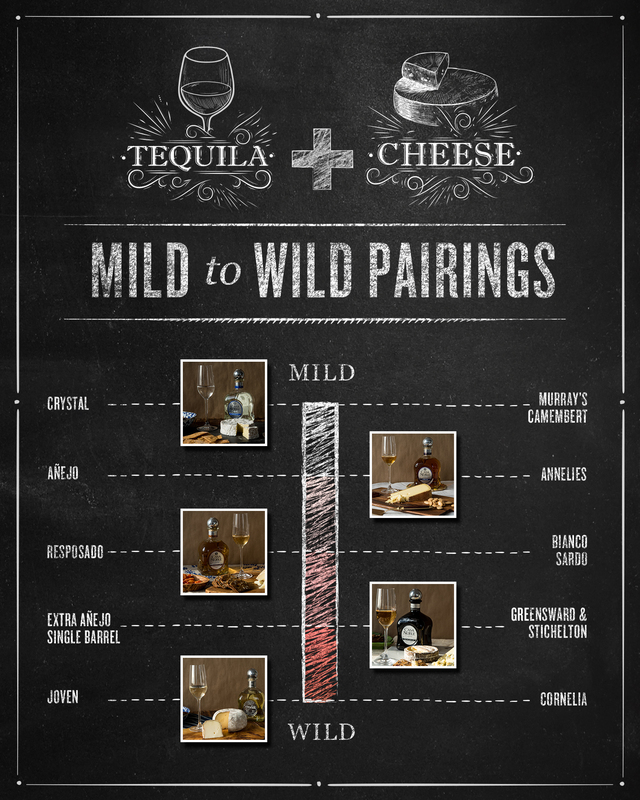 Want to learn more about tequila pairings or cheese pairings in general? Check out our upcoming classes! This is amazing I just paired tequila with some of your cheeses yesterday! Today I am reading you Jan 17, 2017 article re pairing tequila with! I think it is brilliant! Way to go! Previous PostPrevious Make Whey For… Tete de Moine!